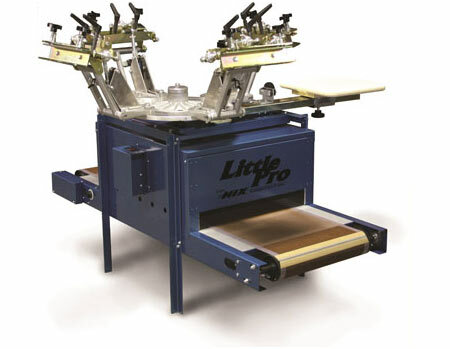 The Hix Little Pro is a perfect mix of the performance of a HIX Premier Printer and the quality of the HIX Electric Gas Dryer. From the world leader in screen printing equipment comes the perfect solution for shops that need every square foot they can find. The printer offers the same features as the time tested Premier printers from Hix such as all-heads-down printing, micro-registration, gas lifts and rotary stop alignment. Because the printer is built just like the Premier it's totally expandable.